As the last full month of summer begins, doing your best to take advantage of the warm weather and an event-packed community calendar is essential. Whether it’s hosting team building activities, planning social events, participating in community involvement or maneuvering warm weather to boost productivity, summer months should not be wasted. It’s difficult to participate in team building when everyone is confined in an office. Summer months give the option of outdoor activities, broadening the types of things your team can do. Pick an afternoon to participate in one of these outdoor-specific team building activities. Create an employee sports team for a summer-friendly sport such as sand volleyball, soccer or ultimate Frisbee. Set up a scavenger hunt or obstacle course! Getting to know your coworkers in an informal setting is a great idea to foster relationships and improve communication. Summer provides many opportunities to get to know one another while enjoying the outdoors. Sign up for a walking or bus tour of your town or city. Many offer themed tours focusing on cuisine, architecture or history. If there aren’t any formal tours available, work with a small team to create one specific to your group’s interests! Pick a sunny day and promote an outdoor, all-employee lunch break. Create an employee events board, encouraging employees to share upcoming events they’re attending with an invitation to others in the office. Reserve a section at a regional or state fair and invite employee families to meet one another, have a meal and participate in the fair as a group. This also works great at area sporting events! There are often countless options to get involved in the community during summer in ways that wouldn’t be available in the winter. Create an office team and participate in a local walk/run for charity. Volunteer your time to work with a local community garden or co-op to plant, harvest or weed gardens. Clean up litter in a nearby park, beach or wildlife area. Although frequent vacations and daydreaming at work about the beach probably aren’t the most positive side effects of summer when it comes to workplace productivity, there are great ways to take advantage of warmer months. Break out your summer office décor and give the workplace a facelift. According to communications company Ring Central, sprucing up your office space to reflect the season improves employee mood and productivity. Open blinds for plenty of sunshine, bring in office plants and if possible, allow the summer breeze inside to give the experience of the outdoors when working inside. Set goals and checkpoints in preparation for vacation time. Knowing a long weekend or week off is in the near future can be a huge motivation to get as much done as possible. 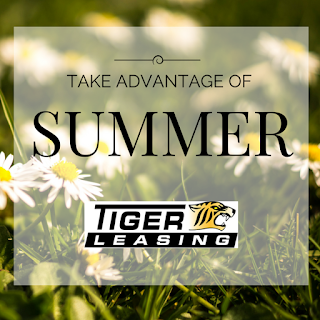 Summer is a unique season where employees can be productive as well as have fun. Finding ways to enjoy warm weather and flexible schedules is well worth the effort. What kinds of activities or initiatives does your office take advantage of in summer? 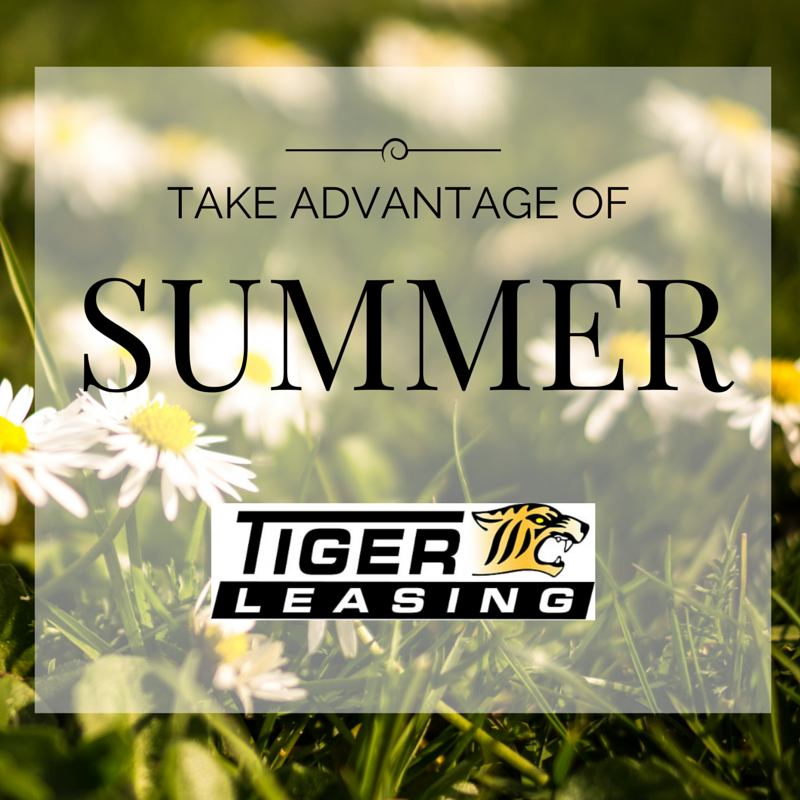 Comment to share your ideas and connect with Tiger Leasing on Facebook, Twitter, Google+ and LinkedIn!